Moving abroad? County Removals provide a range of European removals and overseas shipping services. Dedicated road services to continental Europe and Eire. Regular groupage services to France, Spain and Portugal. Sea & Airfreight Services to almost anywhere in the world. 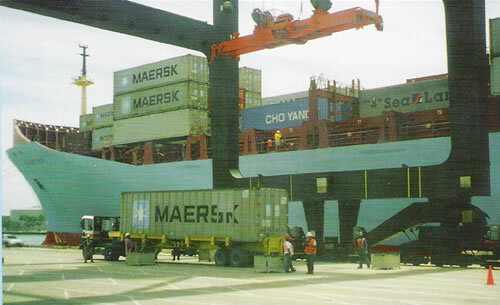 20 ft & 40ft Full container loads to almost anywhere in the world. Groupage to Australia, New Zealand, Canada, Australia, USA. unpacking and removal of all packing materials. Our Destination services are carried out by internationally recognised agents, so you can be sure of the same quality service in your new country as you receive in the UK. Our office staff can advise you on worldwide destinations and offer their knowledge of local customs regulations and prohibited items. In order to arrange insurance for your goods going overseas we ask you to complete a proposal form, itemising and valuing your goods. We are then able to arrange comprehensive cover through a major international insurer. An individual certificate is issued for your peace of mind. Our policy provides “all risks” protection for your household goods, personal effects and automobiles.